52 Ways to Cook: Color PHOTO Index of YOUR BLOG's Recipes - SEARCHABLE! 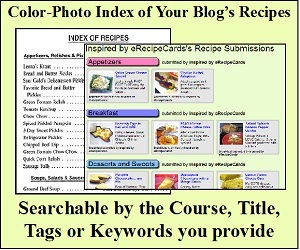 Color PHOTO Index of YOUR BLOG's Recipes - SEARCHABLE! It's been a pretty big month for eRecipecards.com. As much as I love the "FoodPorn" sites, I always thought they had a fatal flaw. The very fact that they pick and chose the best (In someone's opinion... but don't get me started) means that many posts are left off their data base. So, the short term benefit of being chosen (LOTS of lookie loos that day, gratification of a job recognized as well done, etc. ), can not be expanded to a permanent benefit. From the beginning, I envisioned eRecipeCards.com as more than just foodporn. Instead I wanted a site that would host links to any and all of your (OK, mine) posts. But, once that body of work has been submitted, because our standards are different, that group of YOUR links can be used. 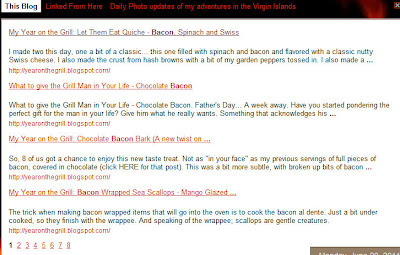 After months and months of effort... We have the very first useful completely indexed... completely searchable data base for not only every recipe submitted to the site (from the more than 1,000 users), but also the data base can be filtered to only the links you submit (or if you save other bloggers recipes, the site now filters just the links you save). Think of the INDEX (Back of the Book) in a real cookbook. 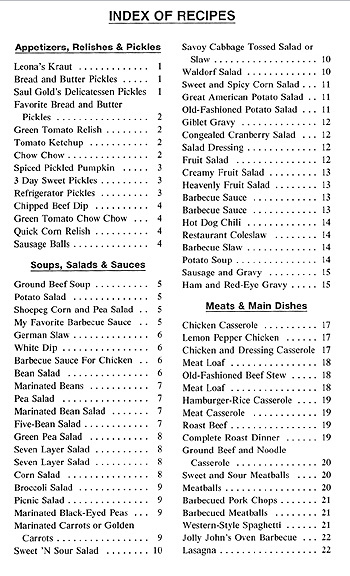 Or even something as basic as the table of contents. Blogs do not have them, which means unless we go to a great deal of work to catalog, index, tag, link and remember; much of our work is at best difficult to find again. The next 100 vaguely and the rest have become so routine that I can usually recall the main ingredient, the finished dish but little of the specific blog. So, after 750 plus posts (over 900 if you add this site with my "old" blog), finding my favorites has become difficult and time consuming. And sure, if you use the "Search this Blog" feature that Blogger provides, you can search by keyword. But even that, especially with 900 recipes to file, is difficult to use. The results are all text. That always seems bizarre to me as food blogging is almost always a visual medium. The results also only show a limited number of links, causing you to page through to possibly find the post you are looking for. Honestly, not very efficient, time consuming and frankly a royal pain. First, the table of contents for your blog. 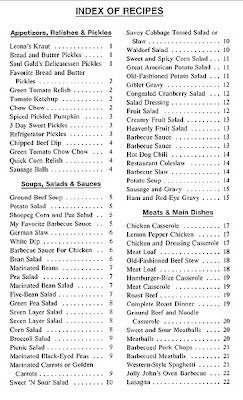 Recipes separated by course. It's much easier to find that recipe you remember when you know it is filed under "Breakfast". Appetizers, Beverages and Drinks, Bread,Breakfast, Desserts and Sweets, Lunch and Snacks, Main Course, Other, Salad, Sauces and Spices, Side Dishes, Soups and Stews. Just seemed logical that when you take a look at your work, you see the links separated by the courses you assign them. Just like the table of contents in the book that is your blog. Do you see the checked boxes??? That's where you can narrow your search. Want to see all the "Chicken" recipes (no matter which course you assign them)? Just type in "Chicken", and check the box you want to search... If you know you titled the recipe with that word, just search the titles. But sometimes you need to search deeper... Search the TAGS you assign as well. And occasionally you need to search deeper. That's where you may need to hunt through the description you provide of your post. So, next time I spy an amazing sale on chicken, with just a few key strokes, links to my body of work pops up. I can get inspired to make a soup or a simple sauced chicken breast... BBQ ideas to pizzas. Just like the index in the back of the book that is your blog. .Food blogs are almost 100% visual. Everyone posts a photo of the finished dish. Even more than the title, we probably remember the photo we take of the dish. 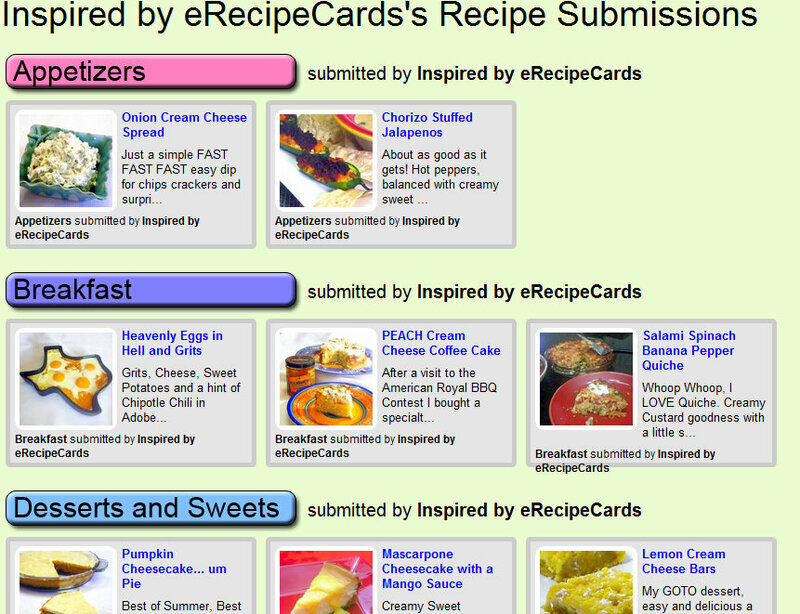 So, even better than the index in the back of a "real" cookbook, your recipes are now indexed along with your photos! 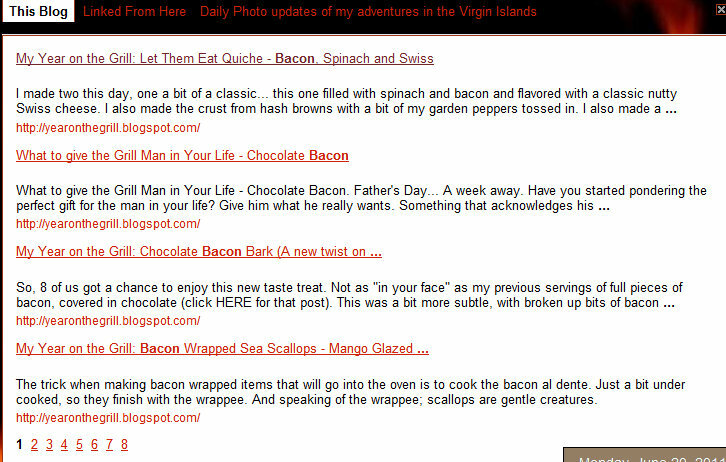 Remember, all eRecipeCards.com is - is a collection of links BACK to your blog. Click the photo and by the magic of the internet, a new window opens on YOUR blog. The universal "Blue Lettering" link is also active. 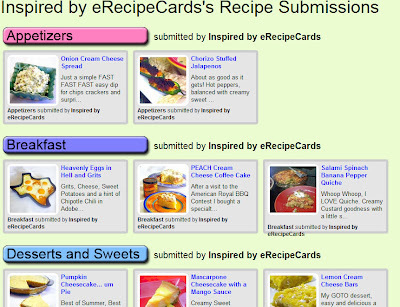 Click on the blue letters of your recipe title and you also are opening the link to your blog. But, also remember that what we do with those links... how we organize them and how we make them useful to YOU makes us different. We are the "other guys" and I hope that shows. 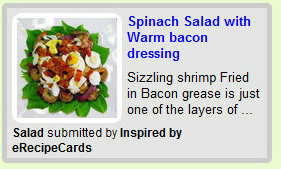 This feature is exclusive to eRecipeCards.com. But, like every other tool to get the most of this feature you need to be active. Make it a habit to post not only your current posts, but make the extra effort to go through your back log of older posts. Once you get the hang of it, it is less than a minute to add the links for a post. Try to post a months worth of older stuff once a week. Or for every new post, add an older set of links. It may take some effort (like my 750 plus links on my older blog), but in the end, having a PHOTO, SEARCHABLE, INDEX of your blog will be worth all the effort! What do you think? And better still, what features would you like us to add? Currently we are working on automatic "Pinning" to Pintrest, as well as a printable recipe feature that incorporates new Google Search demands that make recipe searches more difficult for blogs. So again... What do you think?